Amazon.com description: Product Description: A mysterious tale of crime, witchcraft and the supernatural. 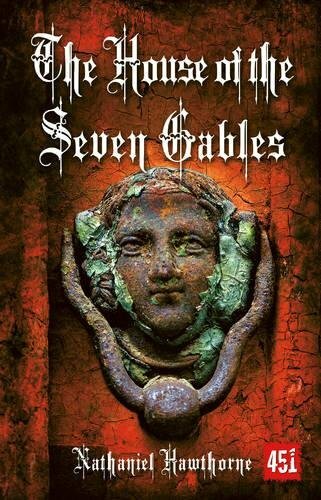 The House of the Seven Gables is a gloomy New England mansion, reeking of past sins and malevolent threats. The Pyncheon family that lives there has inherited the curse of centuries-old accusations of witchcraft, and is haunted by the ghosts of the sinful dead who still live within the terrifying shadows of the imposing house. A truly ingenious blend of the supernatural and the romantic, Hawthorne weaves a gothic tale that threatens to impale the family and the local townsfolk with its destructive power. FLAME TREE 451: From mystery to crime, supernatural to horror and fantasy to science fiction, Flame Tree 451 offers a healthy diet of werewolves and mechanical men, blood-lusty vampires, dastardly villains, mad scientists, secret worlds, lost civilizations and escapist fantasies. Discover a storehouse of tales gathered specifically for the reader of the fantastic. Each book features a brand new biography and glossary of Literary, Gothic and Victorian terms.